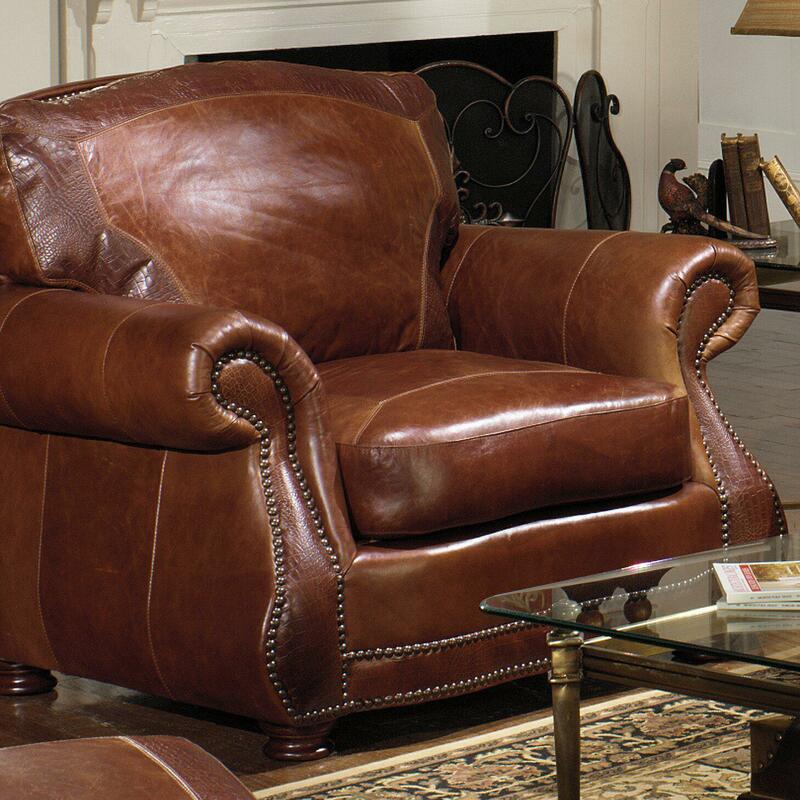 Take comfort in the luxurious Chair with a traditional design meant to stand the test of time. The elegant Chair is perfect for settling in and getting comfortable with a good book. Timeless elements include large rolled arms, nailhead trim and turned bun feet. The top grain aniline leather is accented with alligator adding depth creating a rich look. The Chair is constructed in the USA with the best quality including 8-way hand-tied coil construction and corner-blocked hardwood. 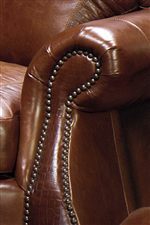 The 9055 Tradtional Chair w/ Roll Arms & Nailhead Trim by USA Premium Leather at Miskelly Furniture in the Jackson, Pearl, Madison, Ridgeland, Flowood Mississippi area. Product availability may vary. Contact us for the most current availability on this product.